WATCH 'Austerity' Revolt in Europe: Effect in U.S.? The Ferrari races through a small Italian town, accelerating around cobbled street corners. A police officer stops the car that does 0-60 in 3.5 seconds. The officer asks the driver for his license, registration – and tax registration ID. Across Italy police are cracking down on Ferrari and Lamborghini drivers, but not because they are driving too fast. Italy, like so much of southern Europe, is drowning in debt, so police are pursuing drivers to make sure they are declaring – and therefore paying taxes on – earnings that would allow them to afford cars worth as much as half a million dollars. The targeting is part of an ongoing war on tax cheats, an attempt to shore up $2.5 trillion of the country's public debt and change a culture that has often prided itself on avoiding taxes. Tax authorities have long carried out much-publicized checks on owners of luxury cars, yachts, even nightclubs that don't issue proper receipts. But since the unelected, technocratic government took power in November, it has made enforcing tax collections a priority. The crackdown seems to be working and -- some say – slowly changing the tax culture. Italian officials say they have discovered more than $12 billion in unpaid taxes already this year, and have identified more than 2,000 luxury car owners who underpaid taxes. "These people are pushed to defraud by the mirage of easy money, to allow themselves the luxuries that they would otherwise not be able to afford -- luxuries that are often the first clue" they aren't paying enough taxes, Italy's tax police said in a recent statement. But the crackdown has triggered counterattacks. Tax collection branches of the national revenue agency have been targeted with letter-bombs and Molotov cocktails – more than 250 attacks in the last year, the agency says. One businessman held an employee of a tax office hostage for six hours at gunpoint, saying he was desperate because he couldn't afford to pay off a $1,250 debt. Some of the attacks have been claimed by anarchists, but the violence is a sign that regular Italians are suffering as southern Europe struggles through recession after recession. Twenty-three small business owners have committed suicide this year, according to the Small Business Association, and suicides motivated by economic difficulties increased 52 percent from 2005 to 2010. Last week, Prime Minister Mario Monti visited the tax authority's Rome headquarters and said army and intelligence officials would support police to increase security for tax collectors. He argues that rich Italians' avoiding taxes hurts the poorest Italians and so stands by the crackdown, saying tax cheats "are giving poisoned bread to their children." Police have found owners who were barely concealing cheating. 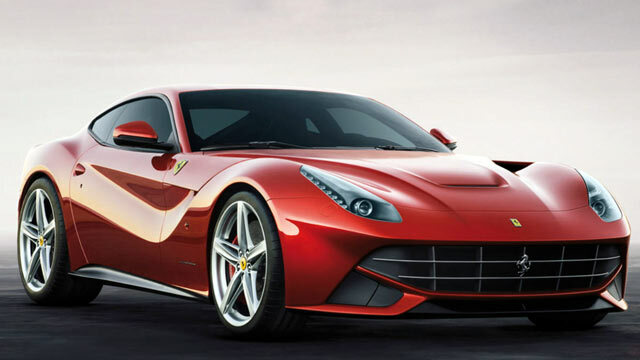 One developer in Perugia who police often saw "speeding through town" in his Ferrari, Maserati or Mercedes had registered his cars in his mother's name. Police discovered he hid 7 million euros of property sales in the last three years. Or there was the case of the plumber in Pescara who owned three homes, used 30 bank accounts and drove a Ferrari. "It is not enough to put your big car in a relative's name to trick the inspectors," mocked the tax police in a recent statement. Police have arrested 80 people so far and are investigating 2,000 more. In a conversation with ABC News, one Ferrari owner who declined to give his name admitted many Ferrari owners have reason to be scared. "Those who declare their taxes correctly are not [scared], but many have the cars registered under other names and companies or do not declare enough earnings to be owning one," said the owner, who used to be president of a Ferrari owners club. "People are scared nowadays because of the more frequent tax checks and the cross referencing the tax agency can do with bank accounts, earnings and so on… They are worried they will be found out." That has led many owners to try to sell their treasured Ferraris in an attempt to lower their profile. Some have even traded in their beloved cars for – gulp – Fiats. Another told the Corriere della Sera newspaper that he now drives around with his tax returns. The Ferrari owner interviewed by ABC News said so many were selling their used Ferraris, the demand to buy the cars back was dropping – and their value had decreased at least 20 percent. Avoiding taxes is nothing new in Italy. Italians commonly encounter professionals who offer discounts to those who pay in cash or shops that do not issue receipts -- all attempts to pay less tax. Tax authorities have attempted to find tax cheats in the past. In 2010, for example, they went after singer Vasco Rossi for creating a fictitious charter company to hide the true cost of his yacht. But this government's new austerity measures, which include laws that make it harder to hide wealth, are an attempt to force Italians to think differently about their taxes. A widely reported tax blitz in January on Cortina D'Ampezzo, the winter playground for the rich and famous, received widespread support from Italians. Tax authorities looked into the owners of 133 Lamborghinis, Ferraris, and other luxury cars and found nearly a third of the owners declared incomes of less than $30,000 per year – a laughable amount, considering not only the cost of their cars but the $8.95/gallon cost of gasoline. The government has released a commercial that flips between slides of "parasites" with their Latin names underneath. Pictures of wood, fish and dog parasites begin the commercial, and the last image is of a man's face with the name "parasite of society, tax evader" written underneath. "The culture of Italians is changing," Attilio Befera, the Italian tax agency's director, told reporters recently. "Fiscal evasion is seen as a bad thing for everyone, not a cunning habit anymore." A leading stationary chain, he said, was selling more tax receipt rolls and booklets, and a growing number of Italians were demanding receipts. The government has given the tax authority greater latitude: it can now access bank accounts at any time, not just when Italians were under investigation for undeclared taxes; and it uses more software and data systems that allow cross referencing bills and bank accounts with a person's annual spending habits. Critics of the crackdown say it has been tried before and is ineffective against a massive black market that has, well, always existed in Italy. The total amount of non-taxed funds in Italy is estimated to be between $150 and $190 billion (although much of that is related to the mafia, not traditional tax cheats). The black market is as much as 17 percent of GDP, according to the national statistics agency. It's not clear whether, as Befera insists, the crackdown will change Italians' feelings about paying taxes. He cites polls in which an overwhelming majority of Italians supported the police checks on luxury cars and high-profile businesses as a positive sign. Of course, most people would say they want everyone else to pay more in taxes. As Befera's deputy, Marco di Capua, recently told Reuters: "Everyone's against tax evasion -- when it's someone else doing it." As for the Ferrari owner, he admitted that his beloved car, which he has owned for more than 10 years, was a "magnet" for tax police. And he admitted that he was keeping it in the garage for now – though not because of the tax checks. With the recent hikes in gasoline prices, he said, "it's just too expensive to drive." +Third Anarchist Bomb in Rome?